The Professor Layton series is nearing ready to debut as an anime in Japan in April 2018. The TV anime adaptation based on Level-5’s adventure game Layton Detective Agency ~Katrielle’s Mystery Solving File~ is set to premiere on Fuji in about two months. 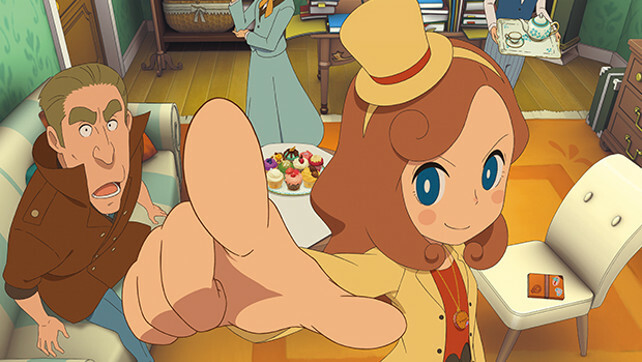 According to Crunchyroll, the protagonist Katrielle Layton, the daughter of Professor Layton and who was at the forefront of the latest title released last fall for the Nintendo 3DS, is voiced by 28-year-old popular anime voice actress Kana Hanazawa. From the below animated preview, the animation looks fantastic. It’s not known at this point if or where the anime will be airing that is available to western audiences.